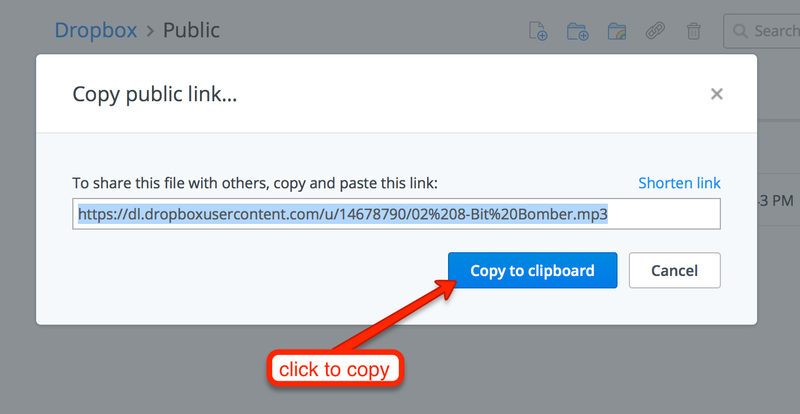 Flowlab can play mp3 files provided as web links, which can be useful, but requires that the file be uploaded somewhere accessible on the internet. 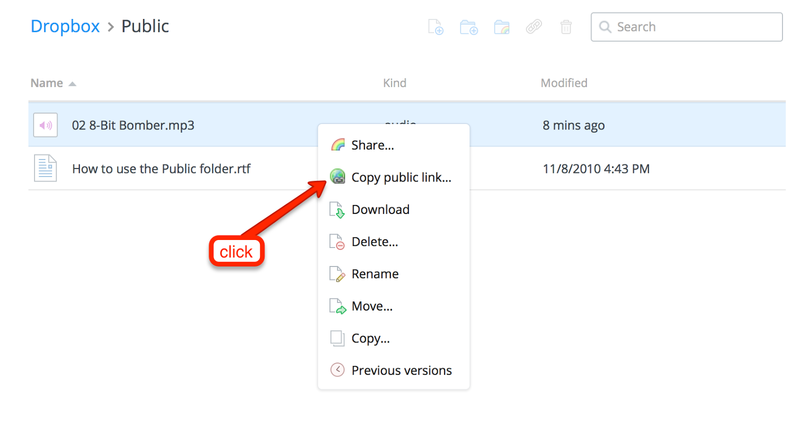 There a many free file hosting services, but Dropbox is my personal favorite. It is free to sign up, and you can upload files immediately. 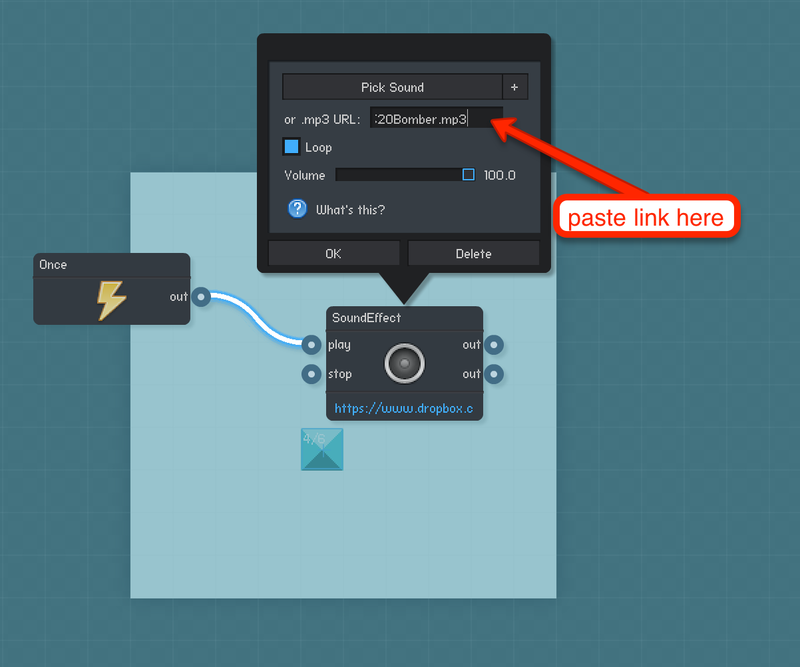 Then just paste the link into a Sound behavior, and click "loop" if desired. Here is a link to the example game. FreePD.com The songs are well made, organized by genre, and some of them are loops - which can be super useful. GiveLifeBackToMusic is a Public domain record label, where artists release and distribute entire albums into the public domain. Game Assets Subreddit Reddit is popular social link-sharing site with many game-development related communities. The "Game Assets" subreddit is where users can share their game music and art with the community. OpenMusicArchive.org provides downloads of music that is no longer under copyright, and so free to use. Most of the music here is pretty old, but that may be ideal for certain game themes. Creative Commons attribution - these songs can be freely used, even in commercial games, the only requirement is that you credit the musician for their work. soundimage.org - Lots of high quality songs, many are game oriented. incompetech.com - many styles & genres, high quality music - great for games.